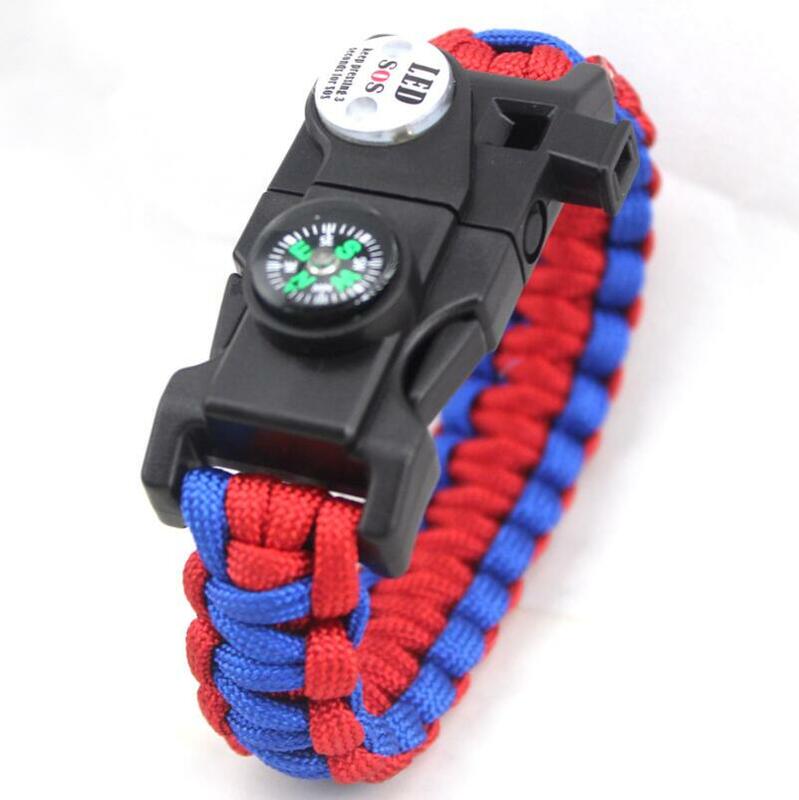 The survival paracord bracelet with blade and flint fire starter and whistle and compass. If you meet any emergency that need a long rope, then you can weave the bracelet quickly ,the length of the rope is up to 3.5-4m. The blade can cut something what you want and the fire starter can help to light fire when you need fire at outdoor activities. The whistle can help to attract other people's attention. 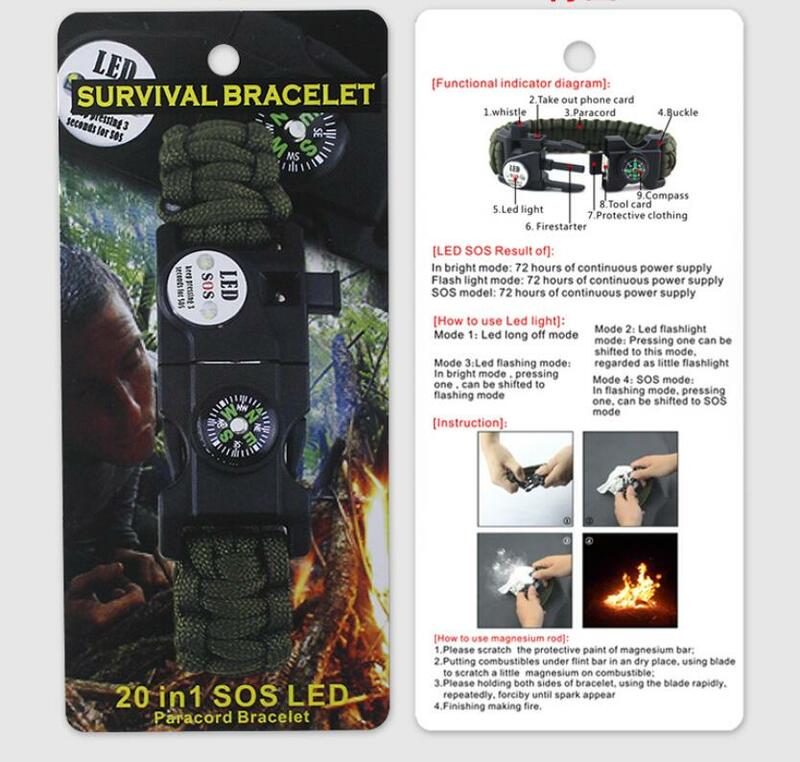 Looking for ideal Paracord Survival Bracelet Manufacturer & supplier ? We have a wide selection at great prices to help you get creative. 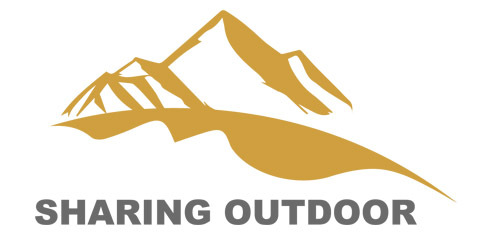 All the Hiking Gear Travelling Camping Gear Kit are quality guaranteed. 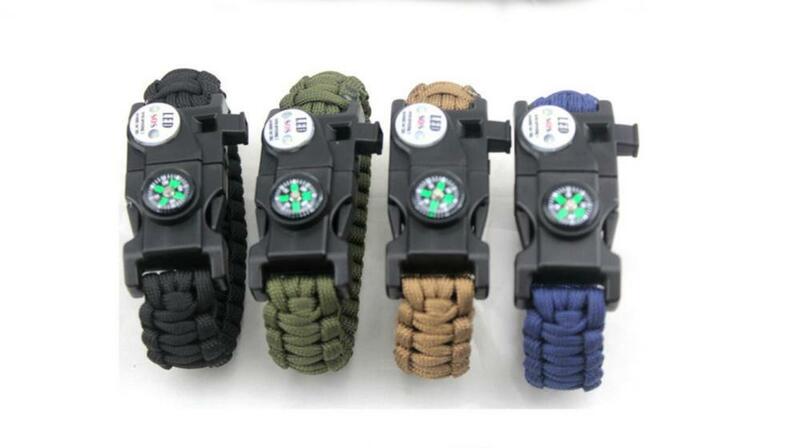 We are China Origin Factory of Parachute Rope Bracelet. If you have any question, please feel free to contact us.